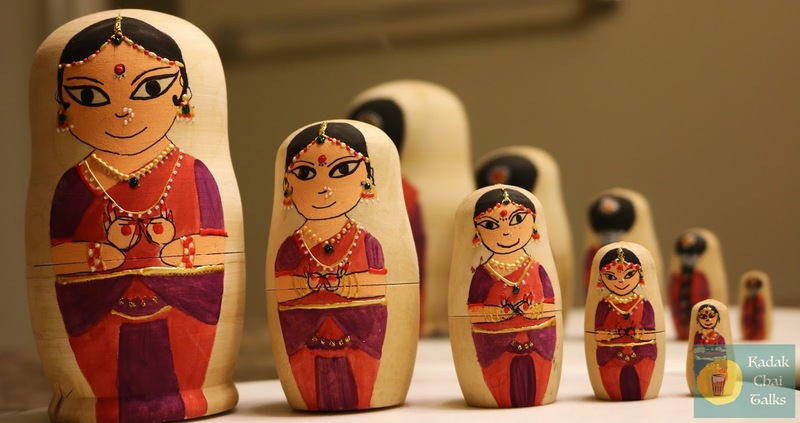 Shivangi Nagrajan of the lifestyle blog kadak chai talks wants to share with the readers of sajavat a DIY on the popular Russian Matryoshka dolls. 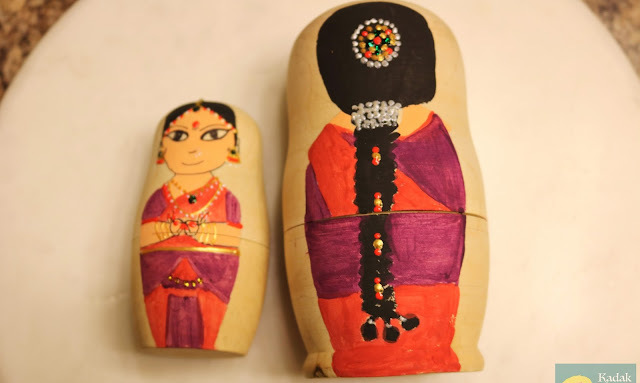 A matryoshka doll, also known as a Russian nesting doll, or Russian doll, is a set of wooden dolls of decreasing size placed one inside another. Hello everyone! My name is Shivangi Nagarajan and I run a lifestyle blog, Kadak Chai Talks, where I love to discuss and discover all things fun! Many thanks to the lovely Sangitha for giving me the opportunity to share this mini DIY project her on blog. Go make yourself a cup of adrak chai and let’s get going…! 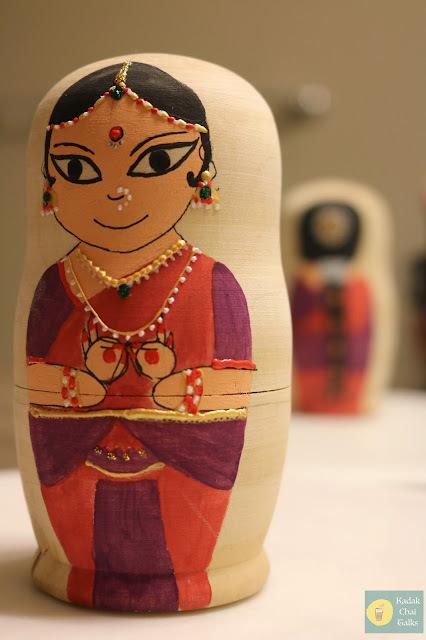 I have always been fascinated by the intricate art work seen on traditional Matryoshka/Nesting dolls. The attention to detail and the intricate patterns that remain identical in all the different sizes always enthralled the amateur artist in me. When I came across the blank set of dolls on amazon, I immediately placed an order! 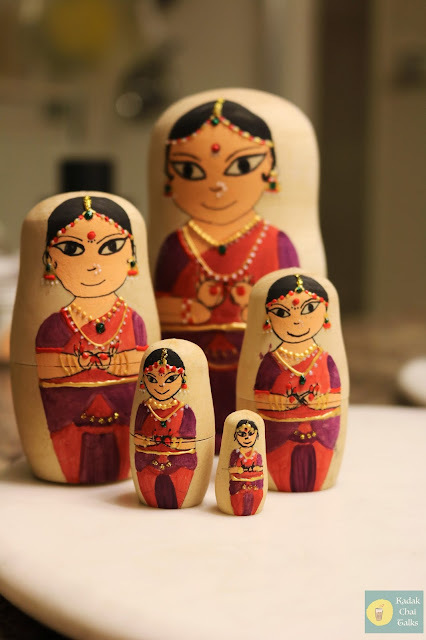 The dolls are made of wood and are sturdy, but smooth. Being a bharathanatyam dancer, I was inspired to recreate these dolls into graceful and charming figurines. I first sketched the design onto the dolls with a pencil so that I had proper guidelines. After I was happy with the general appearance, I began painting in the details. For the outfit, skin, hair and eyes, I used acrylic paints to draw in the details. For the jewelry and other ornaments, I used “Fevicryl” by the Fevicol brand and drew in the various pieces of jewelry adorning the dainty dancers. I then let them dry for about 24 hours and they were ready to be displayed! A varnish could be applied to give a glossy finish, but I was pleased with the result and chose not to apply the clear coat. Hope you try out this fun DIY project as well! I am by no means a professional, and that’s clearly seen by the flaws and inconsistencies amongst the dolls, but I think the mishaps and mistakes add personality to them. 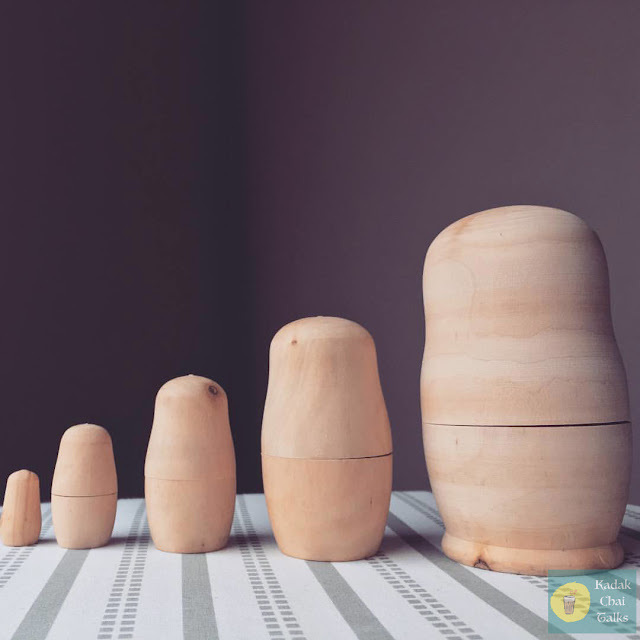 I’d love to see any recreations or different versions of your own Matryoshka dolls! Please share your work using #kadakchaitalks and it would be my absolute pleasure to see your take on this lovely art form. So, wasn't that a super cool DIY to try? 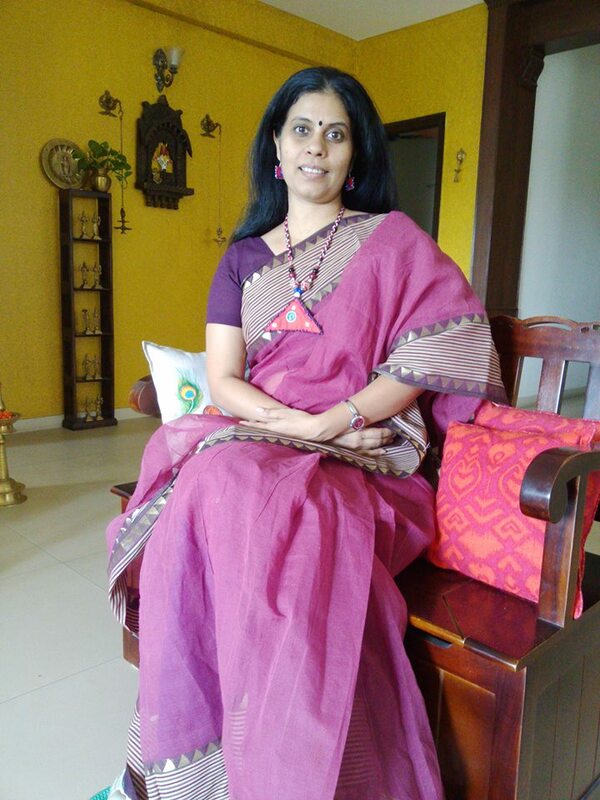 Thanks Shivangi for joining us and hope to see more of such ideas on your blog as well! Well folks, keep tuned in for another home tour that will be up on the blog soon!